This knife was acquired from a collection. IT has a visible scratch on the pocket clip, but is otherwise in excellent condition. 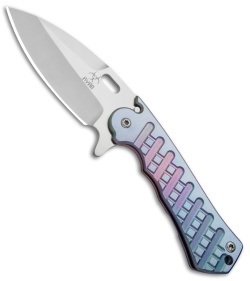 Pictured is the actual knife for sale. 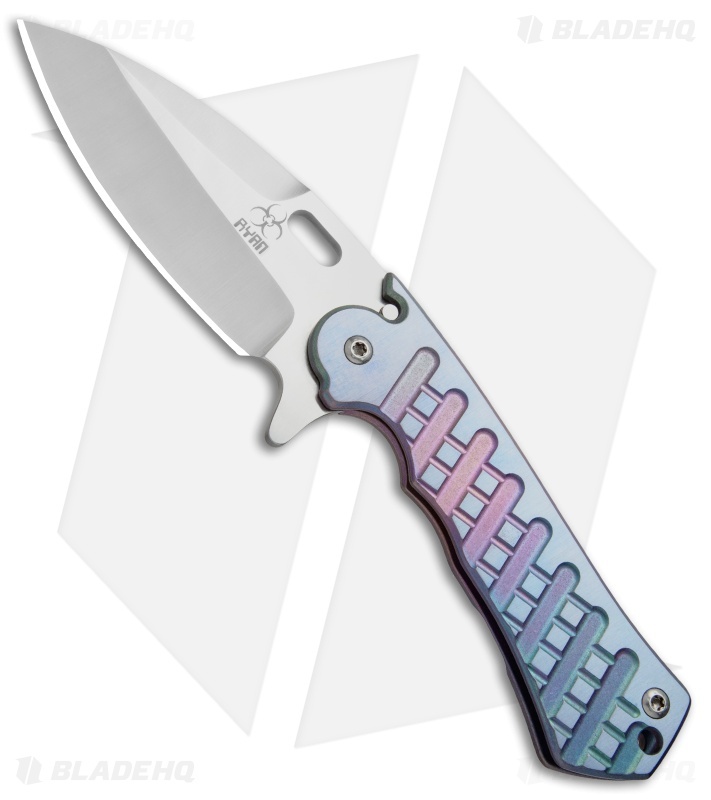 This custom XL Folder from Steve Ryan is a beast of a frame lock knife. 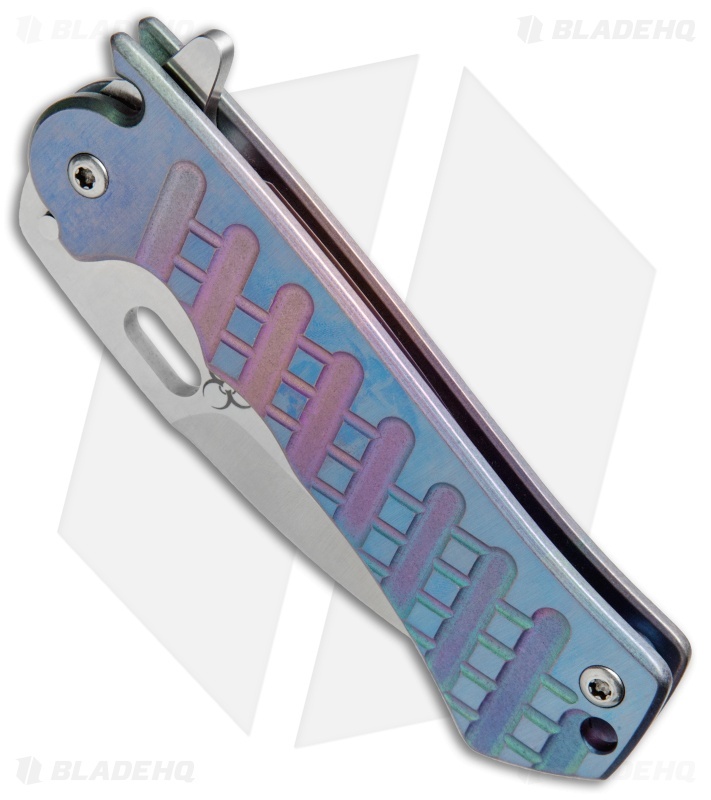 It features a multi-color anodized titanium frame lock with shallow finger grooves and a milled pattern to support a firm grip. 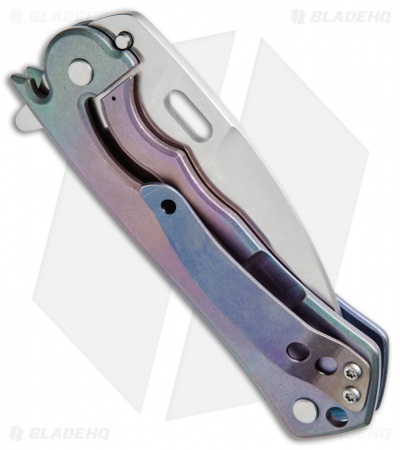 The over-sized blade is made from premium stainless steel with a satin finish, and can be deployed by flipper or elongated thumb hole. Built with a prominent pocket clip for secure, right side carry.